The DKN RoadRunner treadmill has a 2.5 horsepower continuous duty motor. 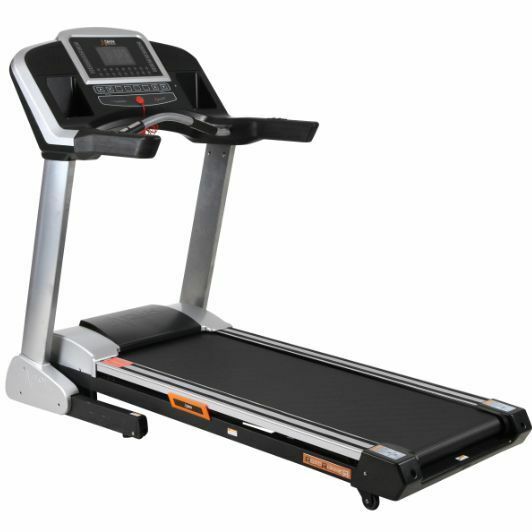 The belt reaches the top speed of 20km/h (12.5mph) and has a powered 0-15% incline function. 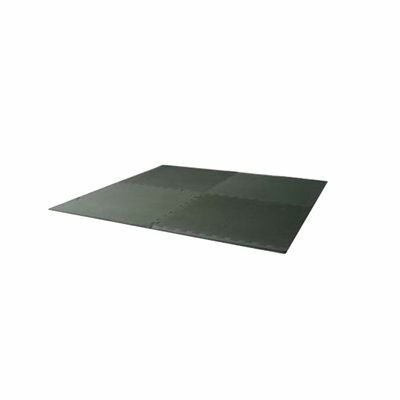 The running deck is 143cm (56.3”) long by 53cm (21”) wide and its progressive shock absorbing system and hydraulic shock absorbing system reduce impact on your joints by up to 15% compared to a road running. 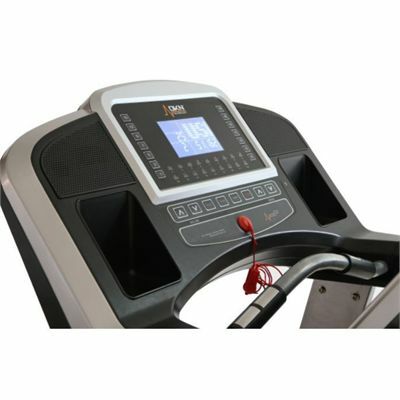 The treadmill is supplied with the new PID (Personal Infotainment Display) that features an iPod or MP3 connection that enables you to exercise to your favourite music. 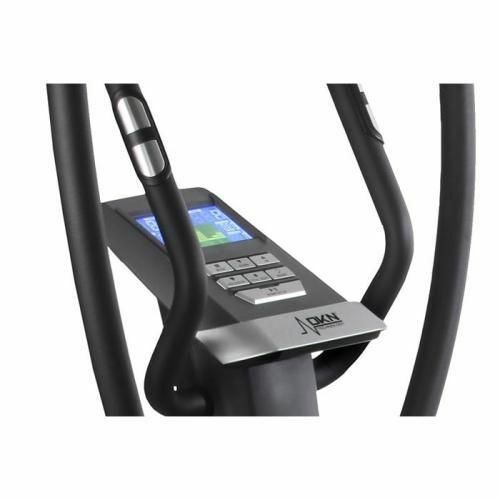 The big sized LCD console displays continuous exercise feedback and offers 28 programmes including 1 manual, 24 preset runs, 1 HR training and 2 user defined. 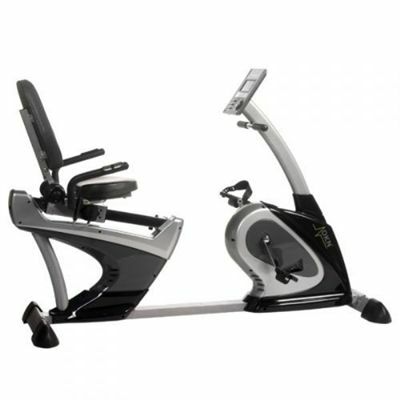 The DKN XC-140 elliptical cross trainer has a 14kg flywheel and a 17” stride length. It has 24 levels of resistance and 18 motivating programmes to provide a challenging and effective workout. The 'Personal-Coaching' multifunctional colour LCD provides detailed feedback on all the key statistics of your workout. The elliptical features a full steel construction drive disc connected to stride supports of 100 cm, with pivoting supports that allow your foot position to change angles while you are exercising. The inner-distance between both pedals is narrowed to match a natural training position for multiple users and offers the user a centred, well balanced straight upward position, easing stress on knees, hips and lower back. The DKN RB-3 recumbent exercise bike has an 11kg flywheel and provides 16 levels of digital silent electro-magnetic resistance. The full colour screen displays feedback on all the key statistics of your workout and provides 20 programmes to ensure motivating and effective workouts. The recumbent has a fully adjustable seat that allows you to find the perfect angle for the most comfortable ride. 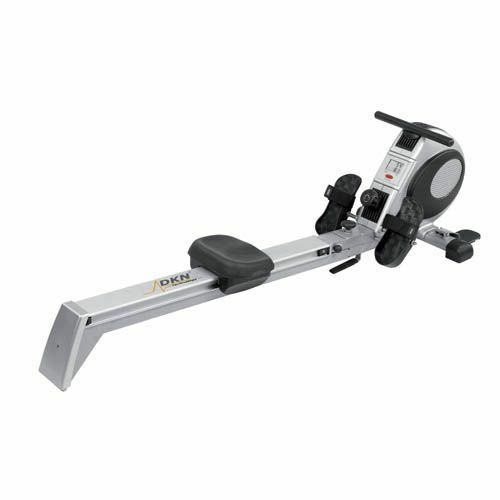 The DKN R200 folding rowing machine has a super-smooth, silent action that provides a fantastic aerobic exercise and targets specific muscles to increase strength and tone. 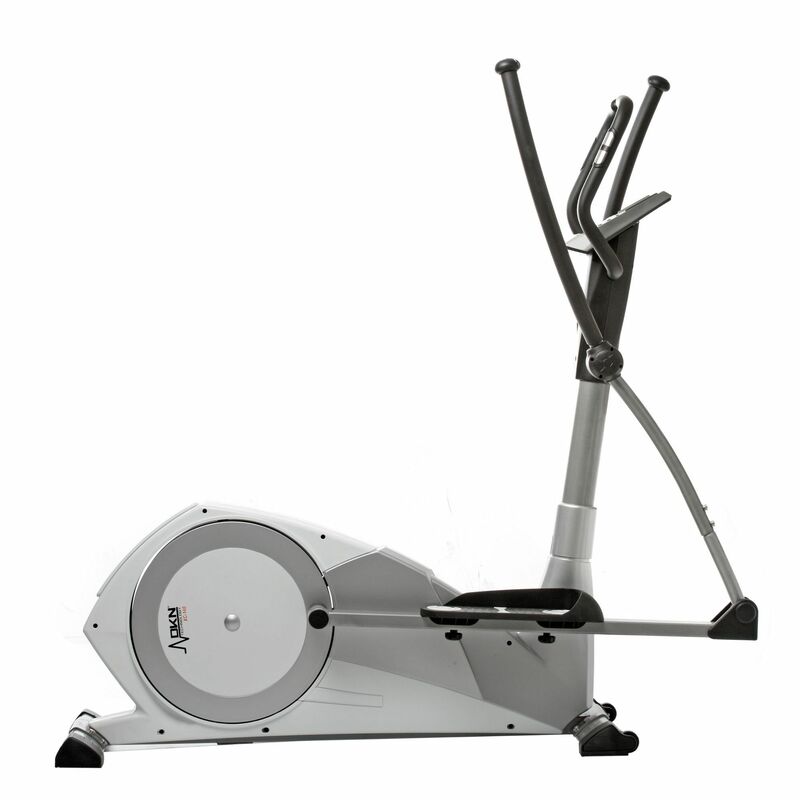 The rower has an 8 kg flywheel and 8 levels of magnetic, manually adjusted resistance. The multi-functional LCD screen allows you to quickly and easily monitor your stroke count, time elapsed, distance covered, calorie burn and scan. The rower has a high grade 125cm aluminium rail that allows the seat to move smoothly meaning that 100% of your leg strength goes into the rowing stroke, while the pivoting footplates ensure a natural action, thereby providing a true, full-body workout. 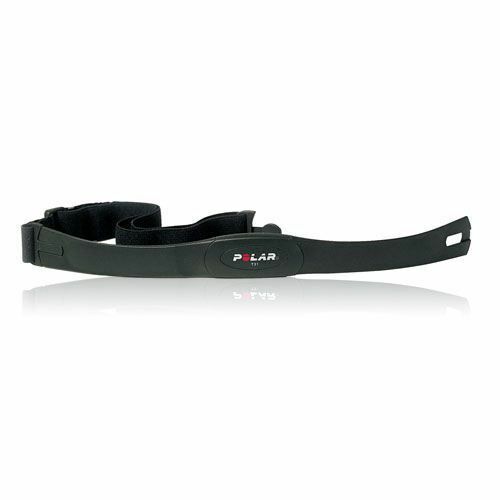 The package also includes the Polar T31 uncoded transmitter that is used to precisely transmit your heart rate to your fitness equipment with a compatible wireless receiver, or to your wrist unit ECG (electrocardiogram). It provides a very accurate readout and enables you to constantly monitor your heart rate. The uncoded transmitter does not provide coding for interference-free transmission, but this does not decrease the readout accuracy. Feedback: speed / rpm, distance covered, time elapsed, theoretical calorie burn, watts / energy output and heart rate. 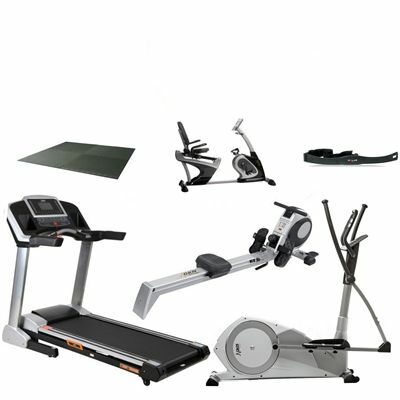 for submitting product review about DKN Superb Home Gym.